But today, transformative constitutionalism is at risk in a world where the relationship between individuals, communities, corporations, and the State is mediated, and sometimes even defined, by technological systems. Like most other things, this is not a problem that can be solved in a courtroom; but it does require a constitutional and judicial response. In early 2018, the Supreme Court took a first step towards articulating such a response. Common Cause v. Union of India concerned the legality of passive euthanasia. A Constitution Bench of the Supreme Court located the right to assisted dying within the contours of the fundamental right to life and personal liberty. But there was something more that emerged from a close reading of the concurring opinions: a concern that the decision about whether to receive or to decline medical intervention or medical treatment is a choice for the individual to make. This concern was crystallized in a single sentence from the opinion of the Chief Justice: 'should [the individual] be [a] "guinea pig" for some kind of experiment? What does this mean? It means that there exists a right to refusal. An individual has a choice to refuse being conscripted into a technological system, whatever its beneficial purpose might be. In Common Cause, the context was medical intervention, but the principle is broader. Medical intervention is only one example of a world in which technological systems are embedded in the fabric of our daily lives. Individuals have the right to engage with technological systems on their own terms, the right to opt into or opt out of such systems without suﬀering for it, and the right not to be subjected to technological intervention without being given meaningful choice. Technological self-determination is the right of every individual to determine how, on what terms, and to what extent, she will engage with technological systems. This is, of course, an abstract principle. But I would argue that technological self-determination must form the basis of how we understand the relationship between technological systems and the constitutional trinity of liberty, equality, and fraternity. Technological self-determination must be at the heart of the transformative constitutional order of the twenty-first century. Identity includes the right to determine the forms through which identity is expressed and the right not to be identified. [With Aadhaar] … that concept is now 'ﬂipped' so that identification through identifiers becomes the only form of identity in the time of database governance. This involves a radical transformation in the position of the individual. And he, therefore, held that the right to a choice in establishing one's identity—including by refusing to submit to a biometric-based identification system—was now a constitutionally protected right. There is little doubt that the Aadhaar case represents a setback to a full-blooded articulation of technological self-determination as a guiding constitutional principle. But in the Common Cause judgment, and in Justice Chandrachud's dissenting opinion in Aadhaar, we have the ideal in its incipient form, almost a chrysalis, awaiting metamorphosis. It has already become a part of the contrapuntal narrative, the contemporary story of the Supreme Court read against the grain, the alternative canon reassuring us that, in the waiting-room of history, to 'set alight the sparks of hope in the past'is always a possible dream. 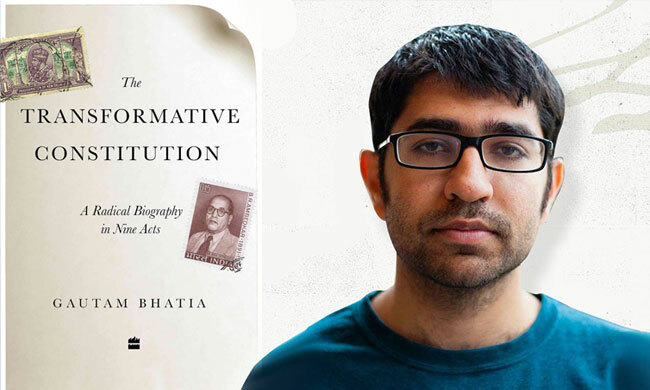 Perhaps the history of transformative constitutionalism in India tells us that it has ever been thus.